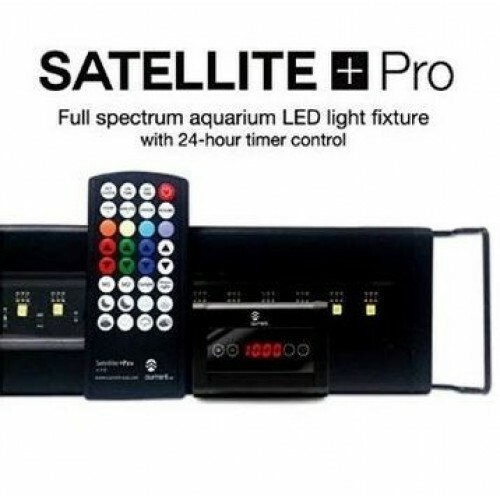 The new CURRENT Satellite PRO 18" expandable to 24" LED is making waves in the freshwater and freshwater planted communities, with a higher output LED fixture and its adjustable color spectrum, the Satellite LED will not disappoint. 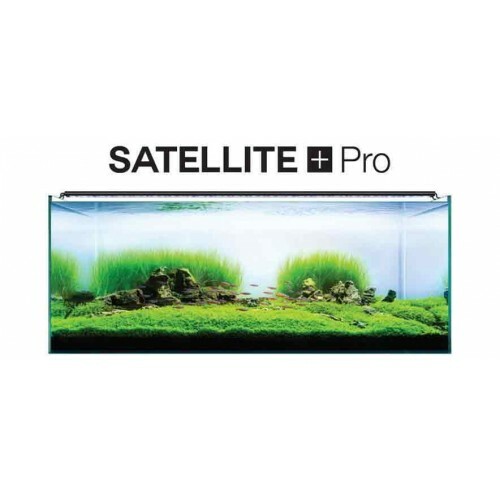 The Satellite PRO is specifically designed for freshwater planted aquariums where high PAR values and strong penetration are needed for optimal growth. One of the best features of this LED is the shimmer effect from the LEDs. 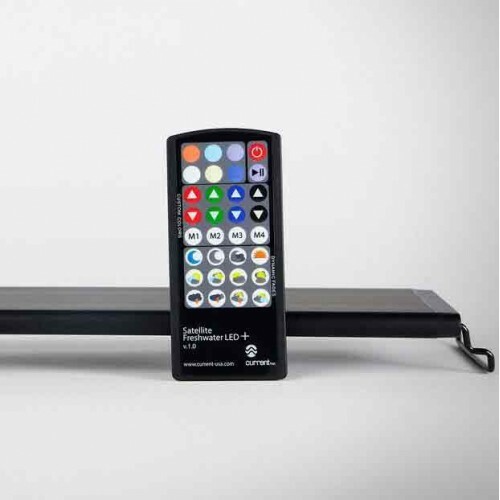 The Satellite Pro is loaded with plenty of new features like the ability to control the each part of the lights spectrum and timing functions. 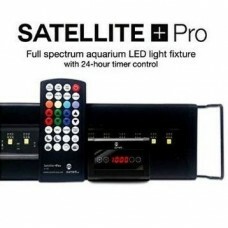 The Satellite PRO comes with an inferred wireless remote that allow the aquarist total control of the color blends emitted from the lights and the fixtures intensity. 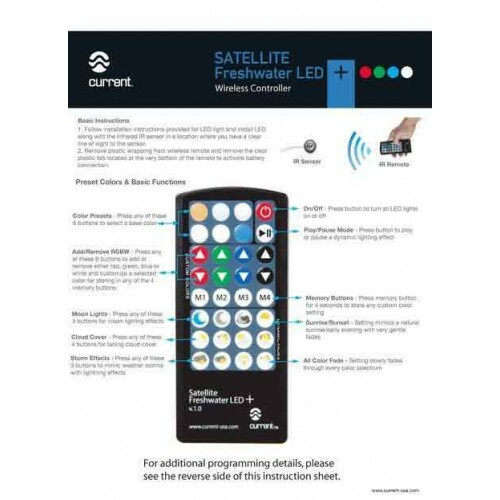 The fixture is also preprogrammed with a custom set of weather features that allow the aquarist to simulate Mother Nature and her storms (cloud cover, fading, lunar, storm and lightening). 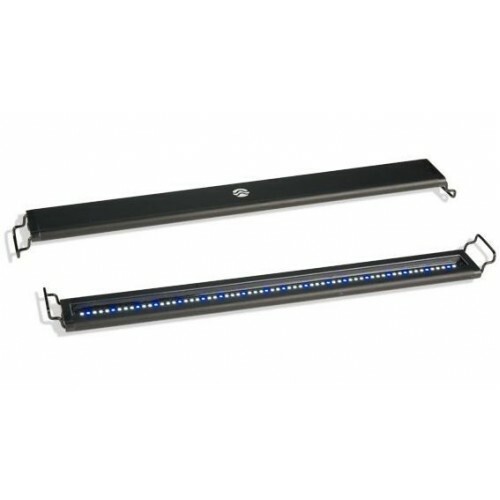 The aquarist can also store two of the own programmed lighting schedules in the fixtures memory locations.